McDonald’s has confirmed that the long rumored ‘Secret Menu’ does exist. You can order from the secret menu just like any other sandwiches. 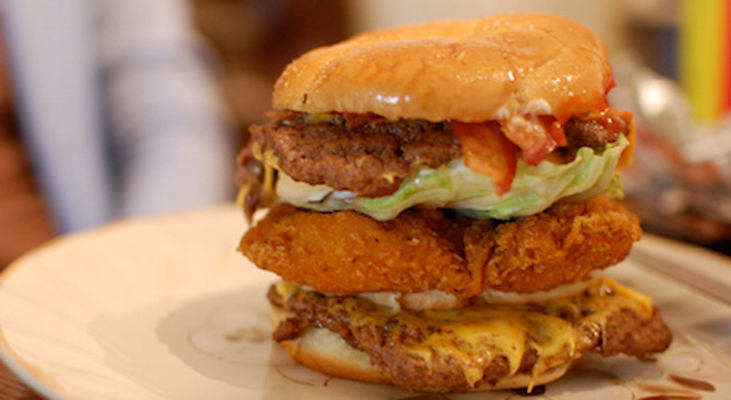 McDonald’s is now serving the strangest “McGangBang Sandwich” in the secret menu. This sandwich consists of combining a Double Cheeseburger and a Spicy McChicken sandwich between two buns. It’s a creative manipulation of existing menu items, and an exercise in frugality: taking two items off the dollar menu and creating an entirely new sandwich for a total of $2.16. Sounds enticing? Make sure you order of the secret menu next time you are at McDonald’s!